If you love craft beer, costumes, and celebrations, you&apos;ll want to mark Oct. 28 on your calendar. 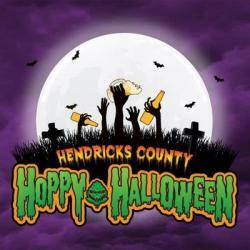 The very first Hendricks County Hoppy Halloween Craft Beer Festival will invade The Shops at Perry Crossing in Plainfield, and you won&apos;t want to miss it. Twenty Indiana breweries will offer unlimited samples of their brews. I think the quality of craft beer throughout this state just may surprise you. Some of the participating breweries include: Bier Brewery, Centerpoint Brewing, Taxman Brewing (one of my favorites), Daredevil Brewing, Planetary Brewing, Noble Order Brewing, Plainfield&apos;s own Brew Link Brewing and MANY more! Chateau Thomas Winery also will provide wine and Mogul Vodka will supply spirits. In addition, local food trucks will provide tasty eats, a live DJ will spin hits and fun games and raffles also will add to the fun. You can literally eat, drink, dance and have a blast. If you love dressing up for Halloween, I have more good news. Costumes are encouraged (but not required). There&apos;s even a costume competition! Prizes will be awarded for the funniest, scariest and overall best costume, as well as the best couples costume. You&apos;ll want to grab your tickets now, because they&apos;re going fast. VIP tickets have already sold out! Tickets cost $30 if purchased in advance and $40 at the gate. Designated driver tickets cost $10. Tickets can be purchased online, and a portion of the proceeds will benefit the St. Mark&apos;s Food Pantry in Plainfield. The fun starts at 2 p.m. on Oct. 28 and continues until 5 p.m., in front of the Claddagh Irish Pub inside The Shops at Perry Crossing in Plainfield. This event is only for ghosts and ghouls who are 21 and over. Eat and drink responsibly and be merry this Halloween at this first-time event!